In 1982, two years after Reagan’s election, the Republicans lost 36 seats in the House, and they don’t look much better heading in to 2018. Is next year a Democratic one, and are Republicans doomed to lose, not only in Congress, but in state legislatures as well? If so, Article V may have to wait until 2021. It’s entirely possible that Republicans will do far better in 2018 than everyone seems to think. Everyone thought Trump would lose in 2016, and everyone was wrong, so it could happen again. The most important difference between 1982 and 2018 will be the economy. 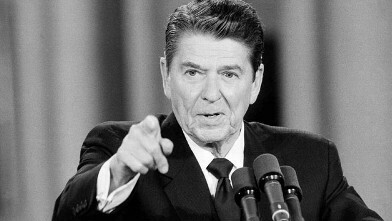 Reagan’s tax cuts had not yet taken effect in November of 1982. They were being phased in, and the economy was yet to recover. And Paul Volcker at the Fed was still squeezing inflation out of the economy, which caused a lot of economic pain. Right now the economy is growing at around 3.5%, and 4% growth in 2018 is realistic. Good economic times are coming, and the Republicans will get the credit. This is what the bull stock market is predicting, and an economic boom, more like the Roaring 20’s than the 1980’s, could do wonders for Republicans. And next year may also be the year when people on the left accept the fact that Trump was elected, and will serve at least four years. As the puny indictment of General Flynn shows, the whole Russia story is a joke, and will vanish. Meanwhile the left continues to beclown itself with its excesses. The Democrats are now fully allied with socialism, and radical leftism in all its guises. This will be spectacularly on display next summer, as the pro-abortion lobby goes absolutely crazy over Trump’s nomination to fill retiring Justice Kennedy’s seat. If it’s another Gorsuch, as it surely will be, Roe v. Wade will be overturned, affirmative action abolished, and 60 years of liberal Supreme Court rulings will be under review. The spectacle of these crazed leftists and feminists and justice warriors opposing the nominee will take us all back to the 60’s. And the 60’s ended well for the Republicans.